Reverse a linked list from position m to n. Do it in one-pass. Note: 1 ≤ m ≤ n ≤ length of list. 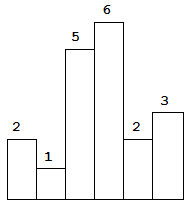 Explanation: It could be decoded as "AB" (1 2) or "L" (12). Explanation: It could be decoded as "BZ" (2 26), "VF" (22 6), or "BBF" (2 2 6). 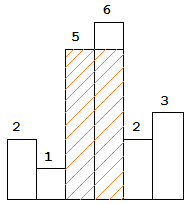 Given two sorted integer arrays nums1 and nums2, merge nums2 into nums1 as one sorted array. The number of elements initialized in nums1 and nums2 are m and n respectively. You may assume that nums1 has enough space (size that is greater or equal to m + n) to hold additional elements from nums2. Given a 2D binary matrix filled with 0’s and 1’s, find the largest rectangle containing only 1’s and return its area.